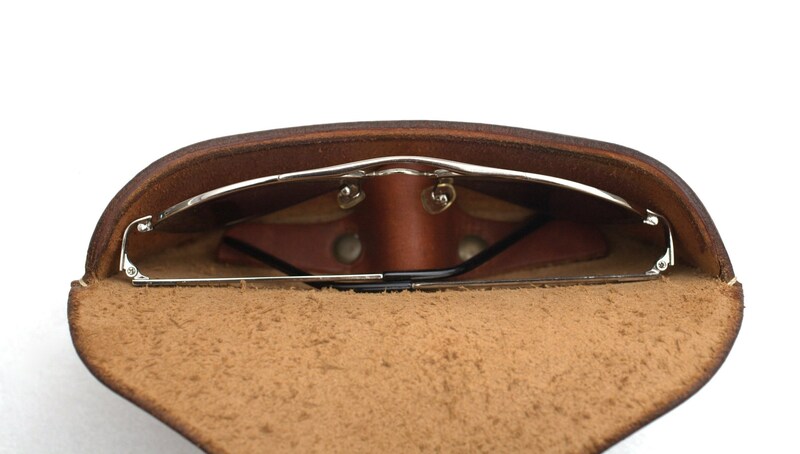 Our glasses cases are designed by an ex-aviation engineer under specialized opticians’ guidance. 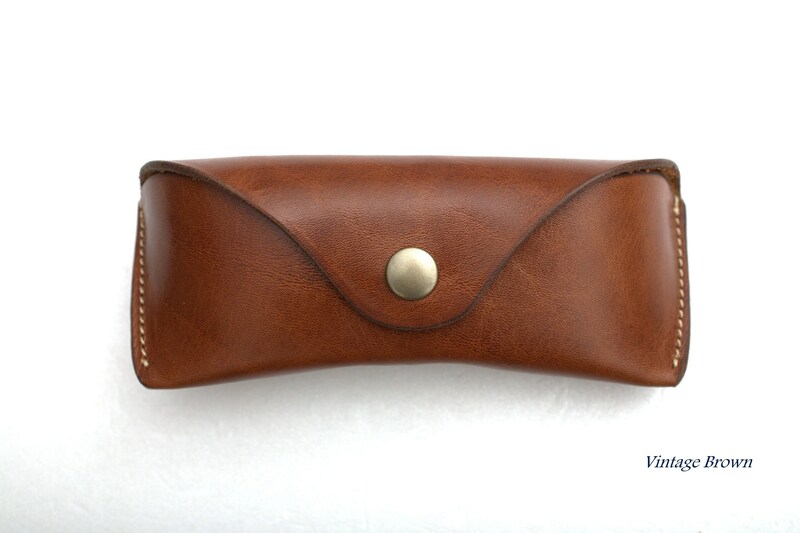 Handcrafted leather eyeglass case, with top notch materials that truly stands out. 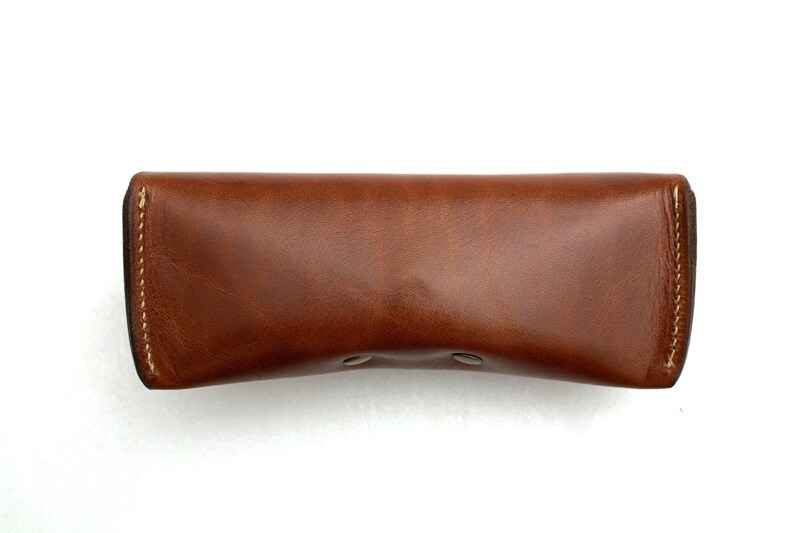 Roomy enough to fit all Aviator and the original USA made vintage 62mm Bausch & Lomb Aviator. -Bronze or Silver snap button & rivets. 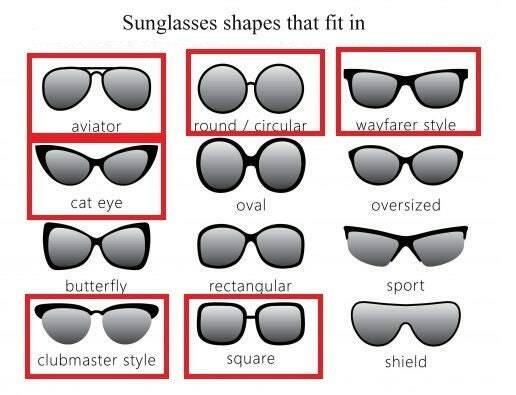 -Fits most eyeglasses, sunglasses, prescription glasses sizes and your Wayfarers. -Soft feel yet rigid enough to protect your valuable eyeglasses. -Crush-proof system for frame protection against pressure. It's like a shell, protecting the eyeglasses from impact & compression force. 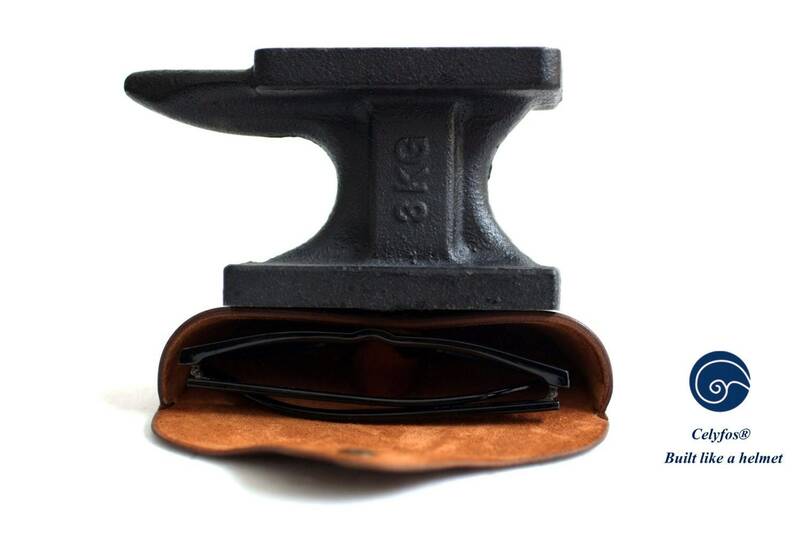 -Withstand up to 120 lbs of pressure right on the nose bridge ! *This vegetable tanned leather in Oxblood Red comes from Crete island, one of the last remaining tanneries in Greece. Supple & Really hard to find. It is supple but sturdy & smells great! A real pleasure to work with and very comfortable to use. For any quote contact me. I'll be happy to answer.